Didn’t Marco Polo bring noodles to Italy from China? Or wasn’t pasta eaten in Etruscan Italy? Jonathan explores the numerous and durable myths that surround the origins of pasta. 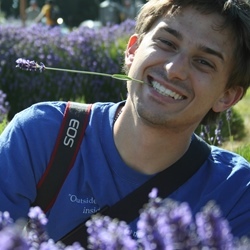 Jonathan is a keen explorer of food, culture, science, technology, and design. The noodle is a ubiquitous part of our global food landscape, and we might be tempted to think of noodles and pasta as basic, simple, straightforward, even mundane. But the multicultural and culinary variety of noodle types and preparations is positively dizzying (and, of course, delicious). Such diversity, along with the significance of noodles or pasta in the traditional cuisines of many nations, at least six of which claim their invention, makes the history of noodles seem as tangled as a big plate of spaghetti. But that historical richness and detail showcases the development of our global society over the past several thousand years. Didn’t Marco Polo bring noodles to Italy from China? Or wasn’t pasta eaten in Etruscan Italy? The myths of the origins of pasta are numerous and durable. Most, including these two, have been proven completely false, their continued popularity due to combinations of elegant mythical simplicity, apparent common sense, and, not least, points of national pride. 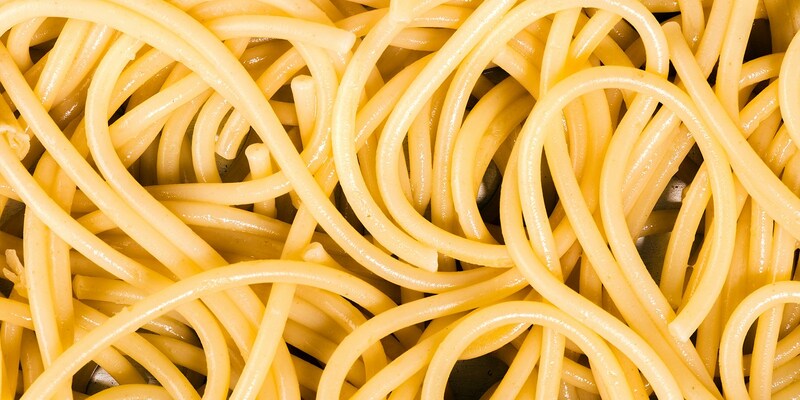 Let’s start with the basics: what is a noodle, what is pasta? Well, in the present day, it’s a very easy slide back and forth from spaghetti to soba, to Chinese fěnsī, to Indian seviyam, to lasagne, to ravioli, to wontons and gyoza, to Russian pelmeni and Jewish kreplach, to German schupfnudeln and spätzle from South Tyrol, to British soup dumplings and Jewish matzah balls! And couscous is a close relative. 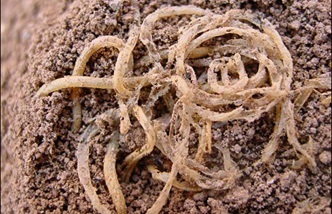 Late Neolithic noodles, found at the Lajia archaeological site. Source: http://news.bbc.co.uk. Image: Nature / KBK Teo / E. Minoux et al. 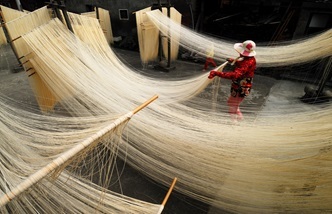 Long string noodles, called mian xian in Mandarin, symbolise longevity and have been made in Taiwan for thousands of years. 'Pasta', in Italian, simply means paste or dough, without implying a cooking method or ingredients, though there is a general historical distinction between bread, which is baked and usually leavened, and pastas, which are boiled, steamed, or fried and are not leavened. Given the simplicity of the basic pasta recipe, historians have focused on one major development: the point at which dried noodles – 'macaroni' – were created using the particularly hard, dry, high-protein, strong-gluten durum variety of wheat native to the Mediterranean Middle East. The earliest apparent evidence of noodles is from a 2002 archaeological dig in China, dating noodles made from native varieties of millet to around 2000 BC. Intriguingly, a similar noodle is still a staple of the poor in that region, but since the find would push back the 'date-of-first-noodle' twice over, investigation continues. The next earliest evidence of noodles of any kind is from around 100 CE, in roughly concurrent documentation in China, Greece, and the Middle East, all describing different preparations. It is clear that noodles became common in China by the 700s, including some soft-wheat noodles we would recognise today. By about the same time, the Arab world is credited with developing noodles based on ground durum wheat – the first of the Mediterranean-style pastas. Thicker noodles were called rishta or itriya and angel-hair-type noodles were called sha’riya or fidwash (the origin of Spanish fideos). Because durum is so hardy, the noodles could be dried and stored for long periods of time. The hardiness provided greater resilience to seasonal food shortages as well as enabling longer journeys of larger groups of people. It may even have supported the subsequent expansion of the Muslim world across the Mediterranean and Asia between 750 and 1100 CE, accounting for the appearance of this type of pasta from Iberia to India. Durum wheat had spread to the southern Iberian peninsula by the 850s and durum pasta shows up in Sicily by the 1100s. So pasta preceded Marco Polo by about 100 years. Polo makes passing reference to noodles in China, but that they do not figure prominently in his writings implies both that he was already familiar with them at home and that they were ubiquitous in China, not worthy of special mention. The development of Italian pasta, both dried macaroni and fresh noodles, proceeded slowly through the 1600s, primarily a food of the elite and the Jews. By the mid-1700s, pasta had become a central feature of the broader Italian diet, and Italian companies began industrialising and popularising pasta production and consumption in Europe and the Americas. They also transplanted durum wheat, which became particularly valuable to growing populations because of its strength and versatility. In all its glorious diversity, the noodle is a fundamental and symbolic part of many cultural cuisines. In East Asia, noodles often symbolise longevity and good fortune, to be consumed without cutting, breaking, or biting the strands. Soba are given in welcome in Japan. In Italy, pasta shapes reflect an idealised daily life: cappelletti are little hats, agnolotti are sleeping lambs, and farfalle are butterflies. China, Japan, Korea, France, Germany and Italy all claim to have invented noodles, but such is the delicious diversity of pasta that it seems almost silly to argue when we could eat instead! – ANDERSEN, E.N. (1988). The Food of China. New Have, CT; Yale University Press. – KIPLE, K.F. and ORNELAS, K.C. eds (2000). The Cambridge world history of food Vol 2. Cambridge; Cambridge University Press. – SONNENFELD, A., FLANDARIN, J-L. and MONTANARI, M. (1999). Food: A Culinary History form Antiquity to the Present. New York, NY; Columbia University Press. – TOUSSAINT-SAMAT, M. (2004). A History of Food. tr. BELL, A. Cambridge, MA; Blackwell. – WRIGHT, C.A. (1999). A Mediterranean Feast. New York, NY; Morrow.